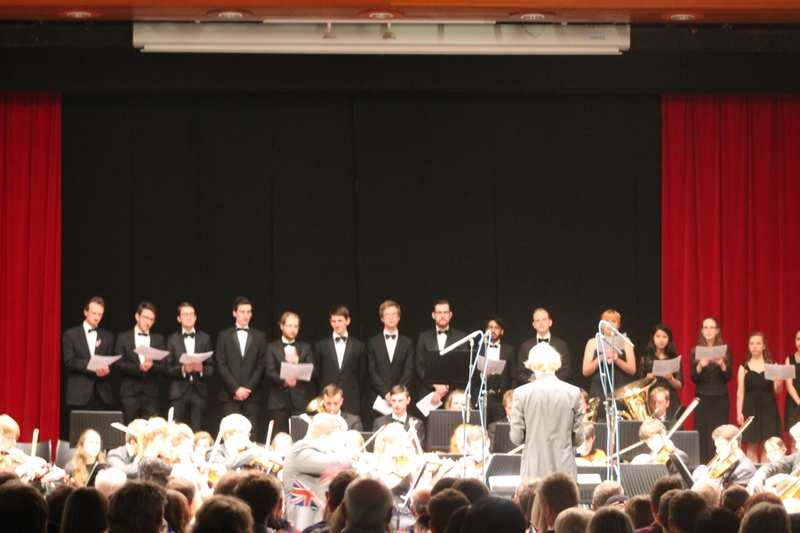 On 18th June 2016, ULMS provided once again the annual Proms concert. The day began with rehearsals in the morning alongside setting up the Great Hall. At first sight it doesn’t look like it should take very long at all, but the net to hold the balloons provided a challenge for those involved in setting it up! After a smooth set up and rehearsals completed, 7.30pm came round quickly and it was time to start the show! The brass band provided the opening fanfare to the concert from the ‘Olympic Fanfare and Theme’ arranged by Peter Graham. 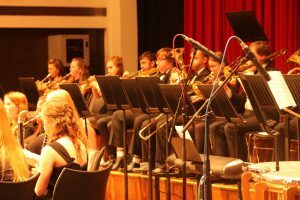 An introduction to the concert by the President of ULMS, Tom Roblin provided time for the brass band to get set up for their choreographed piece, ‘When Thunder Calls’ which they followed with a further two pieces. The next main ensemble to perform a variety of pieces was the choir with pieces including ‘Misty Mountains’ and ‘And the Glory of the Lord’. 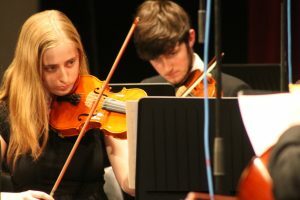 Following on from them was the string orchestra who played one piece from The Godfather; ‘Love Theme’ along with three other pieces. 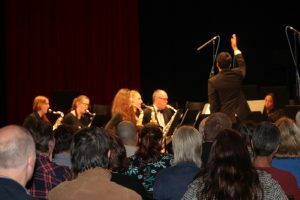 Big Band concluded the first half of the concert with one of their pieces being ‘Hunting Wabbits’, considered to be a difficult piece and fortunately was a huge success. 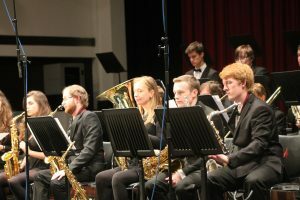 The second half of the concert, after an interval where traditional strawberries and cream were served, was opened by the wind band who performed the third movement of the ‘Hylton Legacy’ alongside ‘Musket, Fife and Drum’ and ‘Concert Prelude’. After the strong opening to the second half, the swing group performed a new song for the group, ‘Spain’ alongside ‘Stolen Moments’ and ‘Moonlight Serenade’. 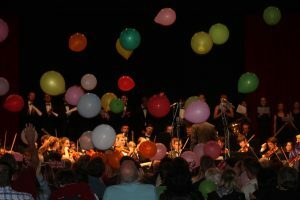 To conclude the concert and lead the traditionals, the part of the concert where with audience participation in the singing, traditional British songs were performed including ‘Rule Britannia’ and ‘Land of Hope and Glory’, was the symphony orchestra. 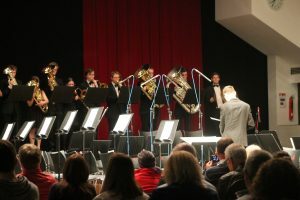 Throughout the concert small groups performed in between each main ensemble to allow the stage to be rearranged to accommodate each group, which included String Quartet, Brass Quintet, Specs Appeal, Dance Band and Chamber Choir. In addition to this, dance band provided music in the foyer of the Great Hall whilst the audience entered. 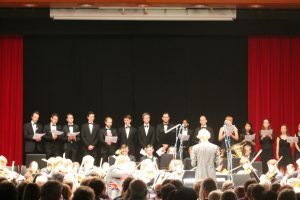 The end of the concert was the time to say goodbye to those members of the society who have graduated this year, but throughout ULMS, close friendships mean that this is likely to not be the last time they take part in ULMS concerts or visit the university. The social in County Bar allowed a few of the small groups to provide entertainment for the society whilst pizza, snacks and of course ULMS Punch were served. To conclude the successful year for the music society, ULMS Awards were presented as voted for by the society. So this is a goodbye to those members of the society who are leaving this year, but also a chance to welcome new members into the society. With freshers week quickly approaching, don’t forget to bring your instruments to university so that you can join the society. 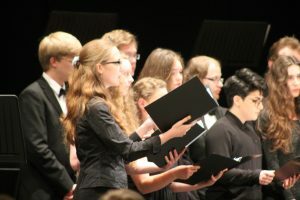 With concerts throughout the year for the different ensembles, the freshers concert within the first couple of weeks allows all of the ensembles to quickly unite as a society and with a social afterwards, it is a great way to integrate into the society and meet new people who will hopefully end up being your friends for life!